How to get into exclusive restaurants? Having lived in most of the major cities in the US, and even some major ones in Europe, I have always enjoyed dining at the top restaurants those cities had to offer. It struck me that, while I have never had a problem getting into restaurants I love, my friends have not been as lucky. Sometimes it was through my connections that I was able to get a table, but most times it was just through smart planning. Here are five tips on how to get that table at the current “it” spot:1. Sometimes, smaller is better — This should be obvious, but trying to secure a table for a large party at Per Se in New York City isn’t going to work. 2. Reservations open 30 days in advance for most US restaurants — Pre-planning has never been so important. Some exclusive restaurants open reservations 2 weeks in advance, others are 60 days, and some go up to 1 year; but a majority are 30 days. Make sure you call the restaurant on that exact day when the reservation opens or you may not get your spot! 3. Avoid rush hour and prime days — Most people tend to want to eat at restaurants between 7:00 to 9:00PM, and the prime dining evenings are usually Wednesday through Saturday. 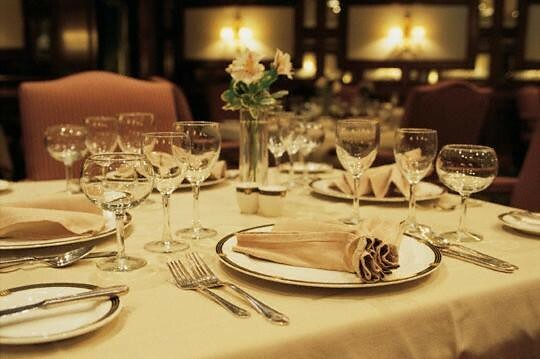 If you are flexible, dining during the off hours is a great way to get into that hot restaurant. This is a good strategy for those on vacations, who usually have more flexibility on their eating times. 4. Walk-in accepted — Don’t be afraid to walk into a hot/hip restaurant if you are a couple or by yourself. You’d be surprised at the number of times I was able to get seated using this strategy, without suffering through a long wait. Most exclusive restaurants would accept walk-in patrons. 5. Take advantage of the concierge — If you are staying at a top quality hotel, this is by far the best strategy. If you are trying to get into a tough restaurant, and you are flexible with day and time, you would be surprised at the amount of “pull” that the concierge service has. Some restaurants reserve tables specifically for those favorite concierges who consistently make reservations with them. Note though, that while they can pull off reservation miracles at times, you shouldn’t expect to show up on Friday morning and get a reservation at Nobu New York that very same evening at 8:00PM! 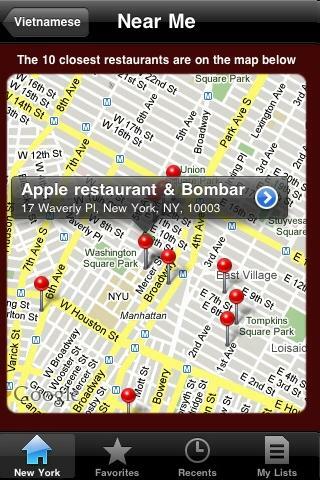 If you’re ever in the mood for drinks before, or after enjoying a great meal, check out urbandrinks.com. You can check to see when happy hour is, at any bar – truly, a Godsend for those impromptu socials with friends or coworkers, or when you’re in a new city and not familiar with its nightlife offerings. UrbanDrinks has user reviews and ratings to help you make your decision; after you’ve picked your bar, urban drthey have the restaurant phone number and address after you pick your bar. And if the bar you pick isn’t what you expected, or want to hop over to another pub, UrbanDrinks shows you the nearest places where happy hours is happening. 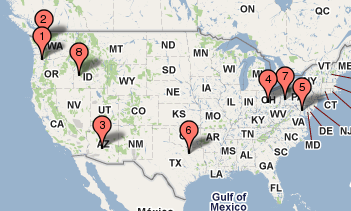 Right now, they’ve got listings in eight metropolitan areas (see map below). So far UrbanDrinks is in Portland, Seattle, Phoenix, Dallas, Pittsburgh, Columbus, Boise, and DC, and they’re constantly adding more. Check out it, and never be stumped on where to get a drink again. 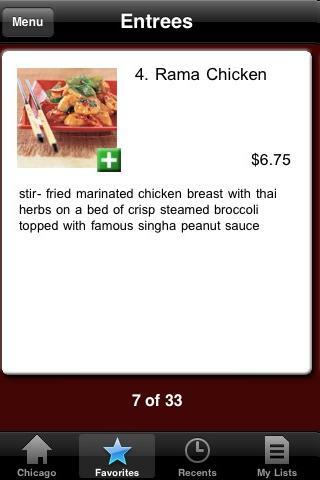 Ever been on the road and wanted to check out a restaurant’s menu before actually physically going in? Of course you could do some research online beforehand but what if you just left the client site or hotel and was looking for a place to eat with decent selection and prices? Well if you have an iPhone you are in luck! I recently checked out a new app for the iPhone called Unimenu. It’s main goal is to be able to look up menus for restaurants in an easy manner. You can view a restaurant’s location/address, look at what items they offer with prices, and directly call the restaurant from the app. Additionally, it has some neat features as well. Let’s say I’m craving some Japanese food in LA. I can filter by cuisine in LA (it locates the metro area I’m in automatically) and select the “Near Me” button. It then lists out the closest 10 restaurants near me serving Japanese cuisine, which then I can look at each menu and restaurant information accordingly. Also, if ever you find yourself ordering from the same restaurant frequently, you can add that restaurant’s menu to your favorites and you’ll always have it handy, even if you don’t get any reception from crappy AT&T (or T-Mobile). Lastly, I think the most creative feature of the app is the ability to add specific items from a menu or menus to a list, afterwards which you can email out if need be. This is particular handy if you are ordering for a big group of people: you can just pass around your iPhone and have people select what they want. Of course, you may want to wipe down your iPhone after you get it back. One day I hope they come up with an iPhone app that de-sanitizes the phone. Right now the app supports New York, Boston, San Francisco, Los Angeles, Washington DC, and Chicago (the app also allows you to filter by neighborhoods specific to those cities). I do most of my traveling between New York (city of blinding lights), SF (I left my heart there), LA (California dreamin’), and Chicago (my kind of town) so this app is perfect for me (who’d wanna go anywhere else anyhow?). They also have a corresponding website at www.unimenu.com for those without iPhones. So for all of you who have ever walked into an unknown restaurant and been caught off guard by the prices or selection of the menu, check this app out.